Crack an egg, then draw the parts. Learn what they are each for. Before cracking the egg, look at the shape of the egg, and show that as it rolls its shape makes it move in a circle. This means that eggs laid by birds do not roll off ledges. Crack an egg at each table group. Students draw the parts that they can see (maybe inside the outline of a shell, if the students are old enough to translate to the new shape). Possibly use as an art project (see above water colour painting). 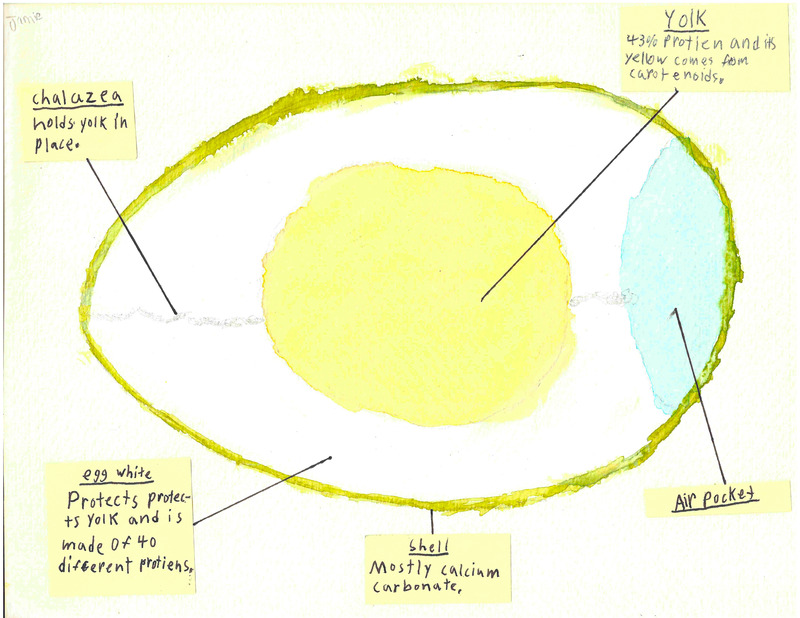 Yolk: Feeds the embryo. Protein, some fat, vitamins and minerals. (Iron, vit A, vit D, phosphorus, calcium, thiamine, and riboflavin.) Also lecithin, an effective emulsifier. Yellow like carrots. Chalazae: ropes of egg white. 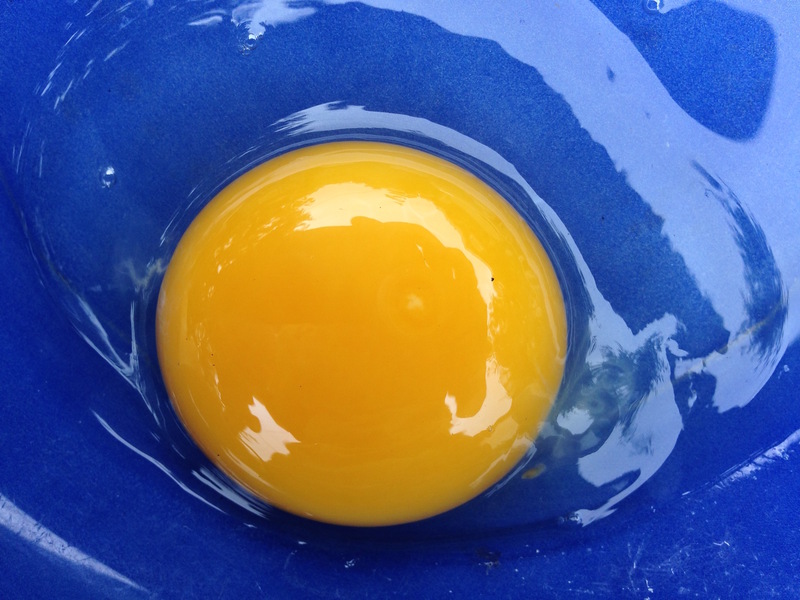 Holds the yolk in the center of the egg and nutrition for the embryo. Eggshell: calcium carbonate. Air and moisture can pass through its pores. The shell also has a thin outermost coating called the bloom or cuticle that helps keep out bacteria and dust. Membranes: between the eggshell and egg white. Defence against bacteria. Strong: made partly of keratin, a protein that’s also in human hair. Air pocket: forms when the contents of the egg cool and contract after the egg is laid.